Brendan ‘PlayerUnknown’ Greene says that Special Projects will be different from what we have seen with PUBG so far. 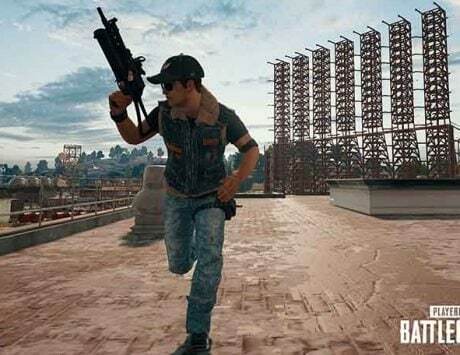 Creator of the battle royale game PUBG and the man who technically pioneered the genre, Brendan Greene also known as PlayerUnknown recently announced that he is moving on from PUBG to other projects that have to do with PUBG. Brendan ‘PlayerUnknown’ Greene had announced that he is exiting the PlayerUnknown’s Battlegounds development team though he will still be a part of PUBG Corp. The game that bears his namesake was created by him from a concept that he essentially introduced the gaming world to. He announced that he is handing over the reins to Taeseok Jang who will be in charge of development of the game. And now at an interview with GamesIndustry.biz he has said that he does not see himself making a PUBG 2, and went so far as to mention that he is done with the battle royale genre and wants to try his hand at something else. he says that the last two years have been “an insane ride,” considering that PUBG was a game that changed how people look at video games and lead the way for games like Fortnite, Apex Legends and others to find foot. He even mentioned that he loved seeing the growth of the genre even if it was with other game titles.